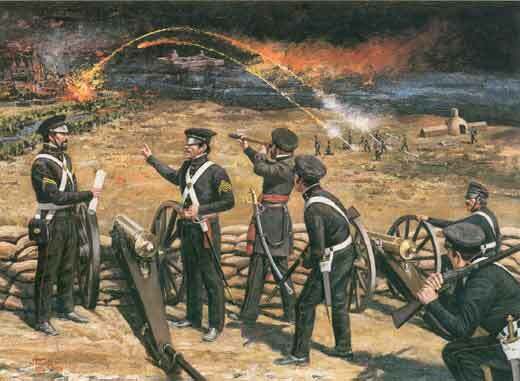 1847 Wunderwaffen: Captain Robert E. Lee fires off 30 rockets during the battle for Telegraph Hill. 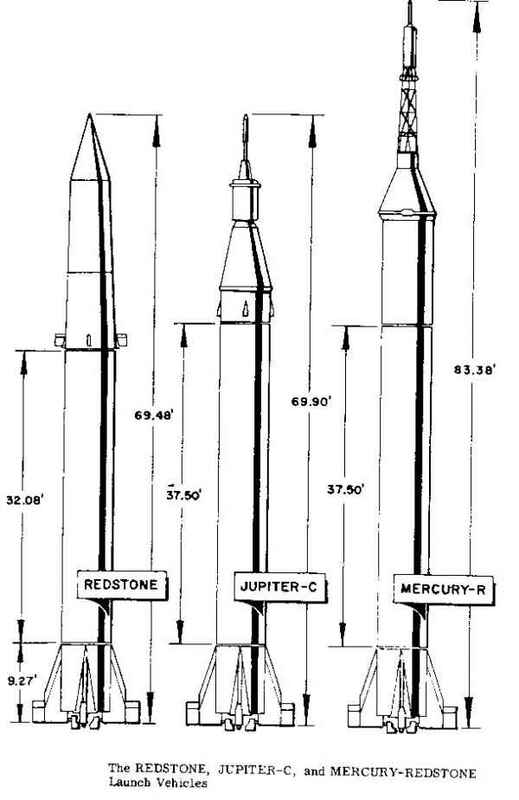 After the completion of the war against Mexico, the US rocketeer battalion is disbanded, and their rockets put in storage. 1847 Birth: Emil Kirdorf: industrialist tycoon from the Ruhr region of Germany who will be one of the first prominent German entrepreneurs to join the Nazis; will obtain financial support for Adolf Hitler. Co-founder of the Rhenish-Westphalian Coal Syndicate and other large concerns, Kirdof will be considered a ruthless exploiter and foe of the labor unions. 1874 Birth: Stanislaw Taczak: Polish general. Until 8 January 1919, temporary commander-in-chief of the Great Poland Uprising (1918-1919). 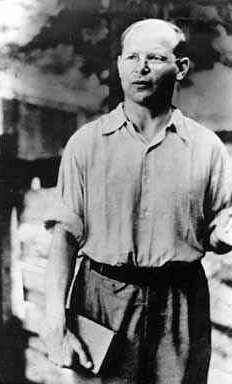 After the Invasion of Poland (1939) he was imprisoned in Oflag VII-A Murnau POW camp in Germany. The younger son of Philip, count of Flanders (brother of King Leopold II), Albert succeeded to the throne in 1909, Leopold’s son and Albert’s father and older brother having died earlier. Before World War I Albert worked to strengthen the army, gaining passage in 1913 of a military conscription bill. He reaffirmed Belgian neutrality to France and Germany in the summer of 1914 and rejected the German emperor William II’s ultimatum of Aug. 2, 1914, demanding free passage of German troops across Belgian territory. 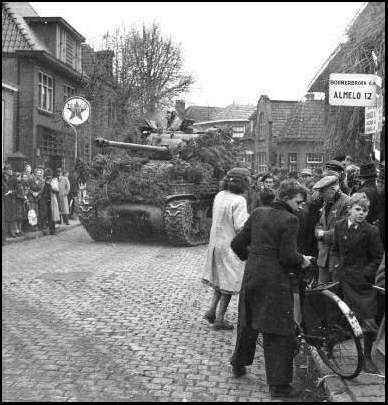 A German invasion followed two days later. On this day in 1904, with war in Europe a decade away, Britain and France sign an agreement, later known as the Entente Cordiale, resolving long-standing colonial disputes in North Africa and establishing a diplomatic understanding between the two countries. Formally entitled a Declaration between the United Kingdom and France Respecting Egypt and Morocco, the Entente Cordiale of April 1904 amounted more than anything to a declaration of friendship between these two great European powers. By its terms, France promised not to challenge British control over Egypt; for its part, Britain recognized France's right, as a Power whose dominions are conterminous for a great distance with those of Morocco to act in that country to preserve order and to provide assistance to bring about whatever reforms in the government, economy or military it deemed necessary. Through the Entente Cordiale, Britain and France established the beginnings of an alliance, promising, in the concluding words of the agreement, to afford to one another their diplomatic support, in order to obtain the execution of the clauses of the present Declaration regarding Egypt and Morocco. 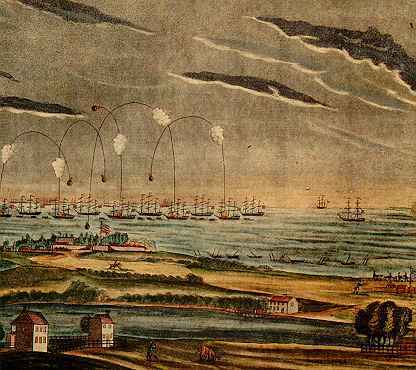 The agreement stopped short, however, of requiring the two nations to provide military support to each other; this aspect of the alliance would come later. A motivating factor behind the agreement was undoubtedly France's desire to protect itself against possible aggression from its old rival, Germany, who had steadily been growing stronger in the years since its victory in the Franco-Prussian War of 1870-71 and now possessed the most powerful land army in the world. Britain was also eager to keep Germany in check, especially in light of a revamped, ambitious German naval program, which—if successful—threatened to challenge Britain's clear dominance at sea. The German government, anxious over this agreement, decided to test its limits, sending Kaiser Wilhelm II to Morocco in March 1905 to declare his support for the sultan—a clear challenge to France's influence in that country, which had been sanctioned by the Entente Cordiale. This bid to shake the Anglo-French alliance failed, as Britain sided with France; an international conference that convened at Algeciras, Spain, the following year also recognized France's claims in the region. 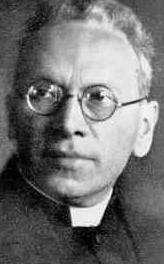 1912 Birth: Alois Brunner: Austrian Nazi war criminal who was Adolf Eichmann's assistant. He was a trouble-shooter for the Schutzstaffel and held the rank of SS-Hauptsturmfhrer when he organized deportations to Nazi concentration camps from Vichy France and Slovakia. Through his role in these deportations, he is considered culpable for the mass murder of tens of thousands of Jews. He was personally sent by Adolf Eichmann in 1944 to Slovakia to oversee the deportation of Jews from Slovakia. From early 1944 until March 1945, 11,532 Jews were transported to Auschwitz. 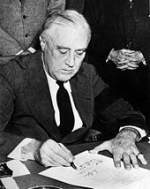 After the war he is said to have been employed by the CIA because he was fiercely anti-Soviet. He is then alleged to have fled to Syria, possibly in 1954, and hired as a "government advisor" with some suggesting he was advising the Syrian dictatorship on torture and repression techniques. While unsuccessfully hunted by the late Simon Wiesenthal, he is believed to live in Damascus, Syria, under the alias "Dr. Georg Fischer". Germany and other countries have unsuccessfully requested his extradition. Austria-Hungary—an ally of Germany—severs diplomatic relations with the United States. Actors Douglas Fairbanks and Charlie Chaplin sell war bonds on the streets of New York, New York's financial district. 1926 Birth: Juergen Moltmann: German theologian. He took his entrance exam to proceed with his education, but went to war instead as an Air Force auxiliary in the German army. "The 'iron rations' in the way of reading matter which I took with me into the miseries of war were Goethe's poems and the works of Nietzsche." He was actually drafted into military service in 1944, when he became a soldier in the German army. Ordered to the Reichswald, a Belgian forest at the front lines, he surrendered in 1945 in the dark to the first British soldier he met. For the next few years (1945-48), he was confined as a prisoner of war and moved from camp to camp. He was first confined in Belgium. In the camp at Belgium, the prisoners were given little to do. Moltmann and his fellow prisoners were tormented by "memories and gnawing thoughts" . . . . Moltmann claimed to have lost all hope and confidence in the German culture because of Auschwitz and Buchenwald (concentration camps where Jews and others the Nazis opposed had been imprisoned and killed). They also glimpsed photographs nailed up confrontationally in their huts, bare photographs of Buchenwald and Bergen-Belsen concentration camp. Moltmann claimed his remorse was so great, he often felt he would have rather died along with many of his comrades than live to face what their nation had done. Zionism: Zionist leaders, including Chaim Weizmann and Chaim Arlosoroff, meet with Arab leaders from Transjordan at the King David Hotel in Jerusalem. 1938 Holocaust: Austria The Rothschild Bank is "Aryanized" and taken over by the Austrian Credit Institute. 1939 World War II: Albania One day after invading Albania, Italian troops take the capital, Tirana, and King Zog flees to Greece. Eastern Front: The Soviets open a rail link to the besieged city of Leningrad. On this day in 1944, Russian forces led by Marshal Fedor Tolbukhin attack the German army in an attempt to win back Crimea, in the southern Ukraine, occupied by the Axis power. The attack would result in the breaking of German defensive lines in just four days, eventually sending the Germans retreating. Sir David Maxwell-Fyfe: So that it comes to this, Defendant, doesn't it—that you will go as far as this: You were present at the meeting with Hitler and Himmler. That is what you say. 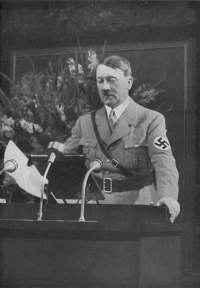 At that meeting Hitler said that the prisoners who were caught by the police were to remain in the hands of the police. You had a strong probability that these prisoners would be shot and with that you used this incident as a deterrent to try and prevent other prisoners of war escaping. All that you admit, as I understand your answers this morning, don't you? 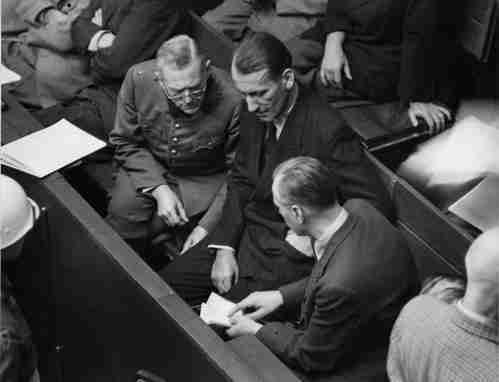 Keitel: Yes, I do admit; but I have not been interrogated on this matter as to just what my position was with Hitler, and I have not testified as to that, and that I did not give this warning, but that this warning was an order of Hitler and was the cause for another severe collision between Hitler and me when the first report of shootings reached me. That is how it was. Keitel: This remained unknown to me. Friday was another trial day. Keitel still on the stand and he practically admitted his guilt. Late in the afternoon, General Rudenko started the cross-exam. It was fair—much better than his first effort . . . . Saturday, the court sat until noontime—Sir David examined Keitel in far, far too much detail...Today we were in court all day and Keitel is still on the stand. As you may know I crossed him up pretty well and got what amounts to a confession from him. Lammers: The Fuehrer informed me that the Minister of War, Von Blomberg, was going to leave his position and that on that occasion he wanted to make certain other changes of personnel . . . in the High Command of the Army . . . . Subsequently, the Fuehrer gave me the order to draft a decree regarding the leadership of the Wehrmacht. I was to participate in this in collaboration with the Wehrmacht Department of the War Ministry. As a guiding principle the Fuehrer gave me the following instructions: "In the future I no longer want to have a Reich Minister for War; and in the future I no longer want a Commander-in-Chief of the Wehrmacht who stands between me as the Supreme Commander, and the Commanders-in-Chief of the branches of the Wehrmacht." Accordingly, the decree was drafted, in which, to start with, the High Command of the Armed Forces became a military staff which was to be under the direct orders of the Fuehrer. The Fuehrer desired that there should be no independent authority here, which would stand between him and the Commanders-in-Chief of the branches of the Wehrmacht. 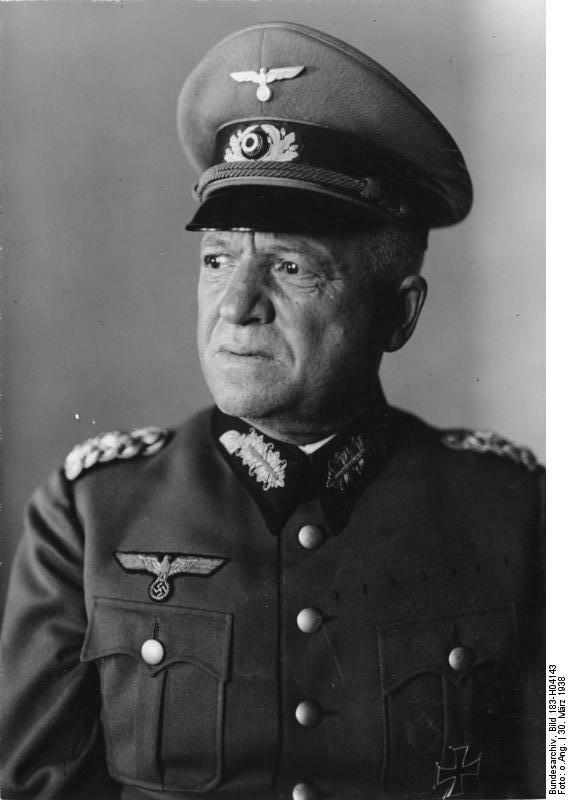 Consequently, the then appointed Chief of the OKW, General of Artillery Keitel, had no direct power of command over the branches of the Wehrmacht. Such power of command was out of the question if only for reasons of authority. Note: The link for today's testimony on the Avalon site appears broken. However, I will be happy to send anyone who requests one a text file of the entire days proceedings by e-mail. 1949 Death: Wilhelm Adam: in Anspach, Bavaria. Served as a Bavarian officer in World War I with a reputation for efficiency; became a Major General in 1930; in 1933 became commander of the Munich military area; in 1935 assumed command of Berlin's new Armed Forces Academy. Not one of Hitler's favorites, the two clashed over West Wall fortifications and had numerous other disputes. Following a few months after the fall of Blomberg and Fritsch, Adams was relieved of command by Hitler and sat out the war with an unblemished reputation in Garmich, which is where he passed away. 1968 East Germany: A new socialist constitution of goes into effect. A quiet but distinguished member of a distinguished class of West Point graduates, Bradley typified a remarkable generation of Army officers. Disheartened by a perceived lack of success in 1918, he pursued his duty throughout some of the Army's most difficult years. The fact that war coincided with Bradley's own professional maturity brought him promotion as the first general officer in his class; George Marshall's confidence assured him a chance to show his mettle. There is no standard against which to compare Bradley as an army group commander. During the fighting in Europe, his calm and effective presence was important in times of crisis, as was his deft touch in handling subordinates. It is difficult, for example, to imagine Patton without Bradley, who exploited the talents of that volatile commander as well as any man could have done. Finally, it was his superb wartime record, combined with his reputation for fairness and honesty, that made him effective in what was probably his most difficult job, Chairman of the Joint Chiefs of Staff. 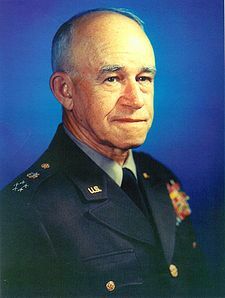 General of the Army Omar N. Bradley died on 8 April 1981, just a few minutes after receiving an award from the National Institute of Social Sciences. He was buried in Arlington Cemetery on 14 April 1981 with full military honors, as the nation mourned the passing of this great and noble warrior. 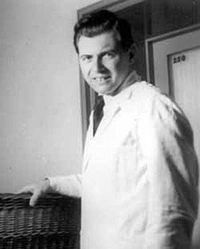 1992 Josef Mengele: After genetic fingerprinting tests, German and Israeli authorities declare that they are certain that this notorious criminal died in Brazil in 1979.